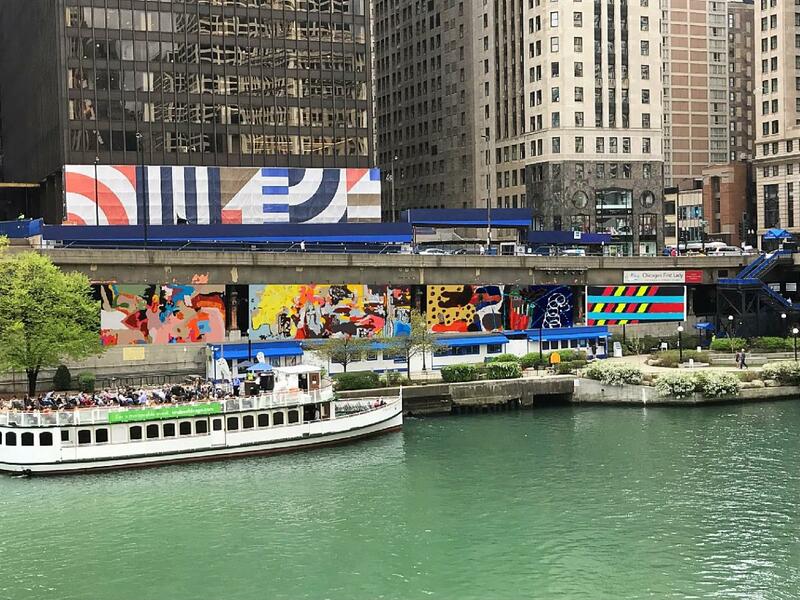 Not surprisingly, some of the best new pieces happen to have been recently installed on the newly expanded Chicago Riverwalk, which is yet another reason to venture on down. The new works will be there until early fall of this year, so you have plenty of time to come on down and enjoy them with friends and families. First up is Tony Tasset’s “Deer”, which is exactly as it is described. Positioned along the Riverwalk between Franklin Street and Lake Street, the work is making an appearance in Chicago courtesy of the Crystal Bridges of American Art in Bentonville, Arkansas. You’ll want to get close to this one and take a few well-positioned selfies for the folks back home. 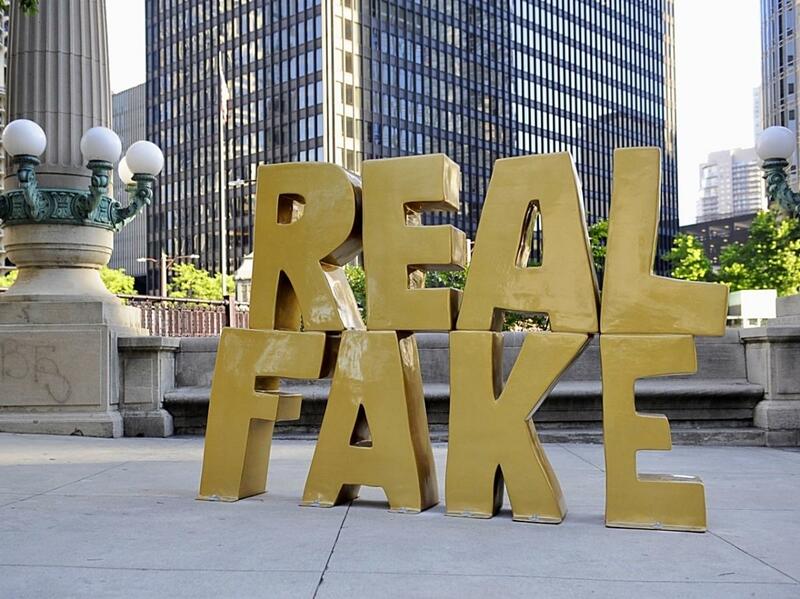 As you continue your walk on the river, make sure and head over to the northeast corner of Upper Wacker Drive and Wabash Avenue to see Scott Reeder’s dramatic “Real Fake”. You’ll see those very words positioned to start conversation and if the early buzz is any indication, there’s lots of good conversation to be had. Moving on, you won’t want to miss the work of Tyrue “Slang” Jones”. 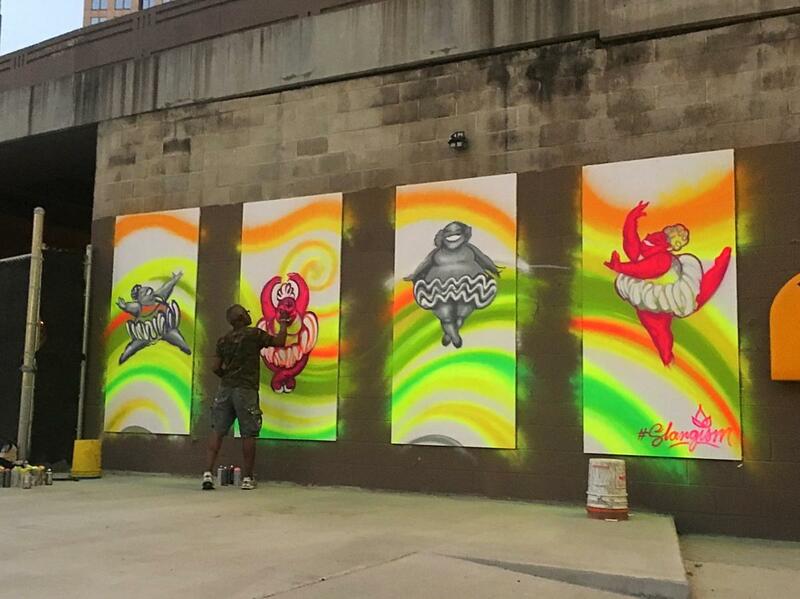 His “Ballerinas" panels are located along the Riverwalk between Franklin Street and Lake Street. These pieces reflect Jones’ own global travels that bring together his interest in flowing shapes and abstracted letterforms. All in all, these compelling new works are just a small piece of Chicago’s newest public art pieces and you’ll want to make sure and return to see new pieces as they are installed over the coming months. Explore more #chipublicart with our Chicago Public Art guides and share your photos with @choosechicago all along the #ChiRiverwalk and Chicago neighborhoods. Photos, from top to bottom: Tony Tassett, Deer at Art Basel Miami. Scott Reeder, Real Fake, 2013. Tyrue "Slang" Jones, Ballerinas. 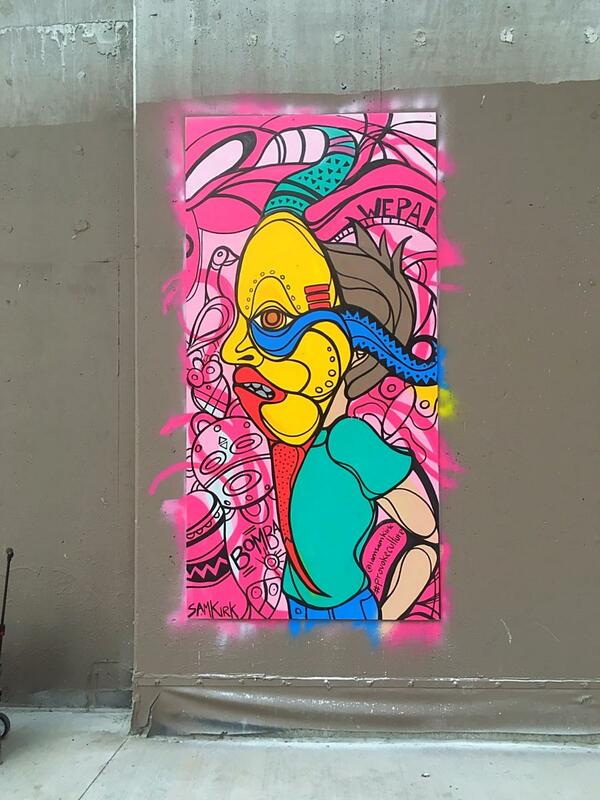 Sam Kirk, Vejigante, Mask On. Candida Alvarez Banner Rendering.